This Galcon model 3652 irrigation valve with female pipe thread connections and S1602 DC latching solenoid is designed to function with battery operated irrigation controllers. This durable yet simple model is a very economical irrigation valve. A wide flow rate range makes it easy to use in drip or overhead irrigation systems as well as lawns. 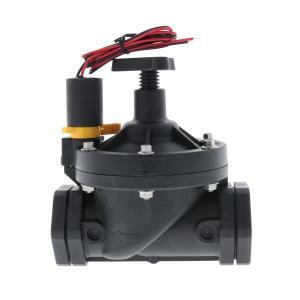 It features a globe-style valve that is activated by a fully-supported diaphragm, and is constructed of durable, corrosion free materials guaranteeing a long service life. Also includes flow control for precise adjustments. The unique clog-free labyrinth inlet provides consistent activation and water delivery. Galcon is a leading manufacturer of computerized irrigation controllers and systems for residential and professional gardeners, landscapers and municipalities and their line of state-of-the art agriculture irrigation systems are the preferred choice of farmers and growers nationwide.